The moon is a fascinating companion to Earth. It’s been nearly 50 years since Neil Armstrong and Buzz Aldrin first stepped on its surface. For middle grade kids today, reading this fascinating new look at the Apollo years is worth every minute of their time. The first ten missions are detailed leading up to the climatic journey of Apollo 11. The text has a poetic free verse feel to it along with dramatic dialog. Each of the chapters end with a look at the astronauts who were a part of the quest. Photographs from NASA add to the understanding of how fantastic this achievement came to be. As the drama heightens it’s hard to stop the pages from turning. Accompanied by full color illustrations, the artist Thomas Gonzales masterfully recreates real life scenes. He fulfills his goal of making sure readers have the illusion of being there. Perfect for science classroom and home. The book has an epic feel to it that is only surpassed by the achievements it describes. Teachers can access the handy classroom guide for free. For all space buffs and future astronauts, COUNTDOWN is one you’ll want in your own library. This is one not to miss! ABOUT SUZANNE SLADE: A mechanical engineer by degree, Suzanne Slade is the award-winning author of more than one hundred books,including Dangerous Jane and Astronaut Annie. Before beginning her writing career, Suzanne worked at McDonnell Douglas Space Systems in Huntington Beach, California, on Delta rockets, Titan rockets, and the Delta-Star spacecraft. While at MDSS, Suzanne worked with engineers who helped create the third stage of the Saturn V rocket, which launched the Apollo Moon missions. As part of her research for this book, Suzanne corresponded with Walter Cunningham (Apollo 7) and interviewed Alan Bean (Apollo 12), one of the twelve astronauts who walked on the Moon. She lives near Chicago. ABOUT THE ILLUSTRATOR: Thomas Gonzalez was born in Cuba and moved to the United States as a ten-year-old child. After attending the Atlanta College of Art (now called Savannah College of Art and Design) he freelanced for a year and landed a position at the Coca-Cola Company, where he intended to work for just five years. Twenty-plus years later, having worked with major global brands and held several creative positions, he left and became an illustrator, designer, and portrait artist. He has illustrated a number of children’s books, including Seven and a Half Tons of Steel, Toad Weather, The House on Dirty-third Street, and 14 Cows for America. He lives in Duluth, Georgia, with his wife Noni and daughter Nina, and three awesome dogs. 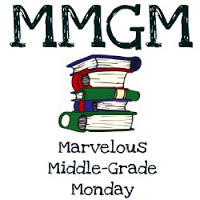 This entry was posted in Middle Grade Book Reviews, non fiction and tagged Countdown 2979 Days to the Moon, Suzanne Slade, Thomas Gonzales. Bookmark the permalink. This book sounds like such an interesting way to tell the story of the moon landing! Thanks for the review! I remember everyone of these events. The excitement and sadness. Think I’d enjoy reading this book. Love space.